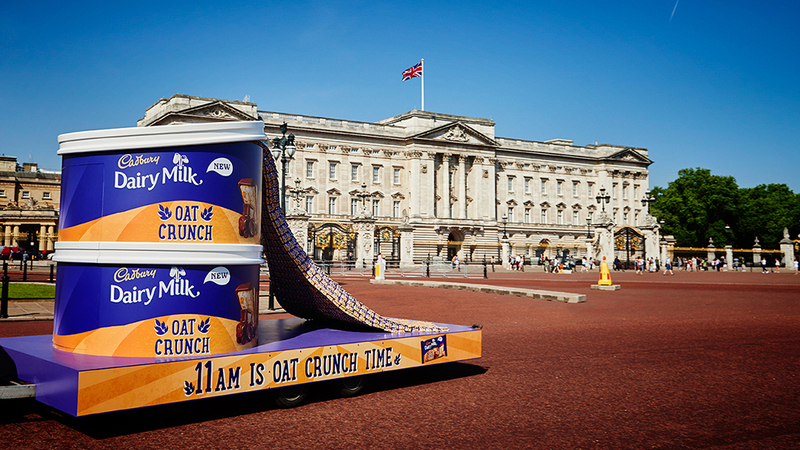 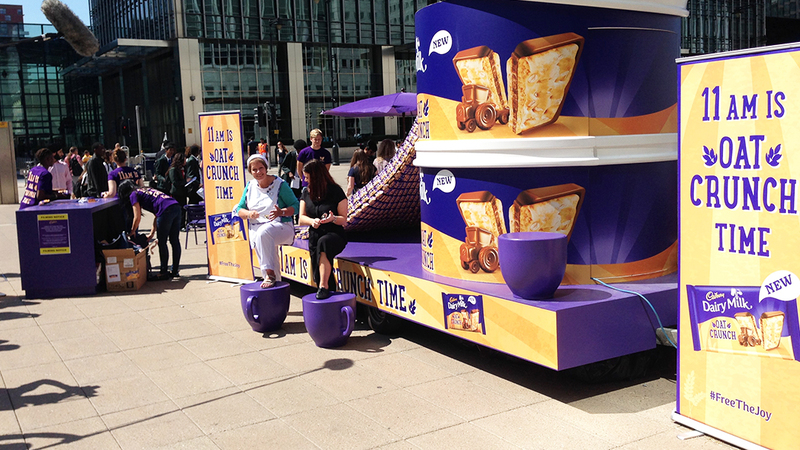 To celebrate the launch of Cadbury Dairy Milk Oat Crunch, Cadbury toured a giant version of an elevenses tin to several locations across the UK, creating the perfect setting where people could enjoy a break from the office. 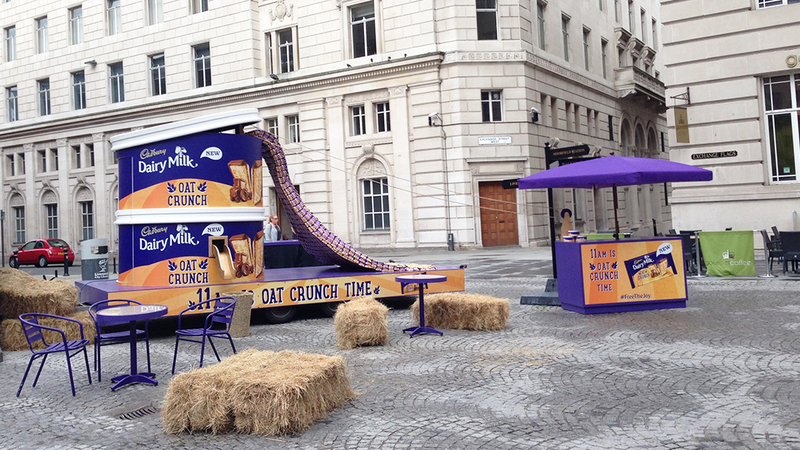 As if this wasn’t enough, the star of the Cadbury Dairy Milk Oat Crunch TV advert – Marilyn Campbell – made a guest appearance at each event giving people the chance to witness her impressive spoon playing skills, and even get a few tips! 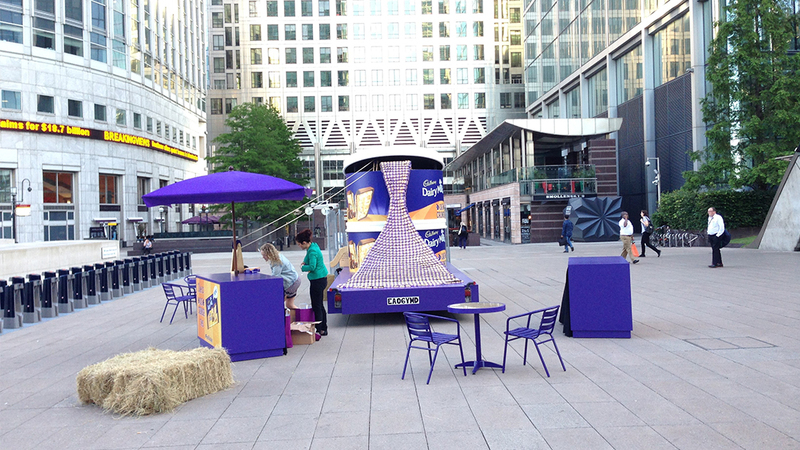 It took 3 Helix crew 50 hours & approx. 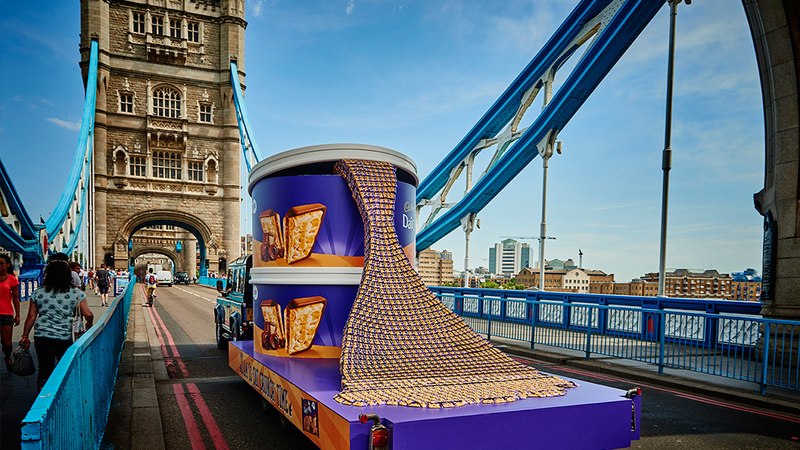 1400 Cadbury Dairy Milk Oat Crunch bars to create the overflowing centre piece coming from the giant open elevenses tin.